And we are off!!! 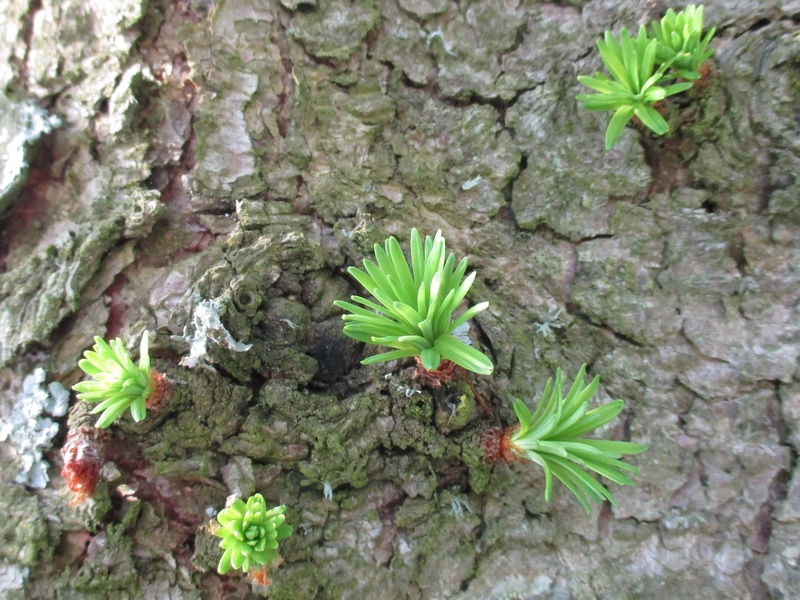 The larch has finally awoken and each and every branch, branchlet (and curiously also at odd intervals across the trunk) is now covered with thousands upon thousands of lime green whirls. Over the last week or so they have evolved from bashful mini-shaving brushes to porcupines in full display. You can almost feel the energy, their enthusiastic gusto, as they burst forth in a way that surely encapsulates the word “spring”. I can’t help thinking this is going to be the my perfect “watching” moment. That it would be hard to beat this time when everything is so fresh, so innocent. These avocado hued needles have yet to toughen, they are yet to be exposed to wind or rain or harsh sun, they are soft and pliable and vulnerable. But harden they will and they will continue to do their job of feeding this tree throughout the summer into autumn, whether I think they are more or less beautiful than before. That of course is the most important thing. ← Who has been sleeping in my bed? How beautiful. Those little whirls are just lovely and so green! You appear to have quite an interesting tree to follow. I am growing to love it, in this case familiarity is not breeding contempt! Yes, that particular green really captures the excitement of spring. It must be my favourite colour and I have only just realised it! Nice photos. They manage to make larch look exotic. Thank you, it does have a rather oriental look about it up close. Fascinating growth pattern… and the spring green is wonderful! Glad you like it, so good to take the time to have a really good look at something that doesn’t normally warrant it! 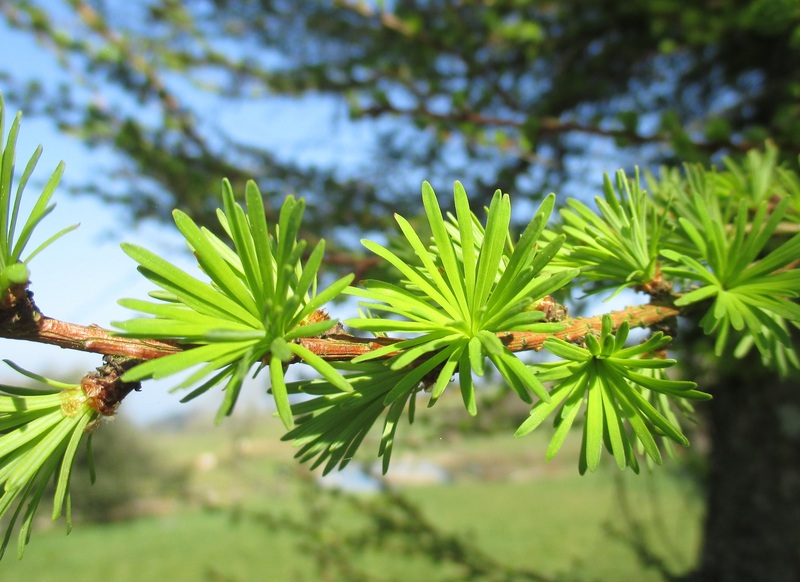 Neat – I had no idea that larch needles were a fresh light green in youth. I’ve only seen mature ones. I’m sure this fresh green colour wont last long, I will keep watching! I look forward to seeing yours in a few weeks time! Great photos! It’s really interesting to see all the pretty details on the trees we follow that might have gone unnoticed otherwise. Thank you Felix, it is good to get someone to point out the good bits!